Our new recipe is a classic staple of the Greek cuisine, a dish that we enjoy every spring when peas are in season. Heat oil in a pot and sauté onion and garlic for a few minutes. Add the pork, sauté for a few minutes more and cover. The pork will start to release its own juices. Add the chopped tomatoes, bay leaf, oregano, potatoes and carrots. Simmer on medium heat for 40 minutes. Uncover and add the peas. Season and cover. Simmer for 20 minutes more or until the meat is tender and well-cooked and the sauce is thick. Serve with a well-chilled Greek rose wine. 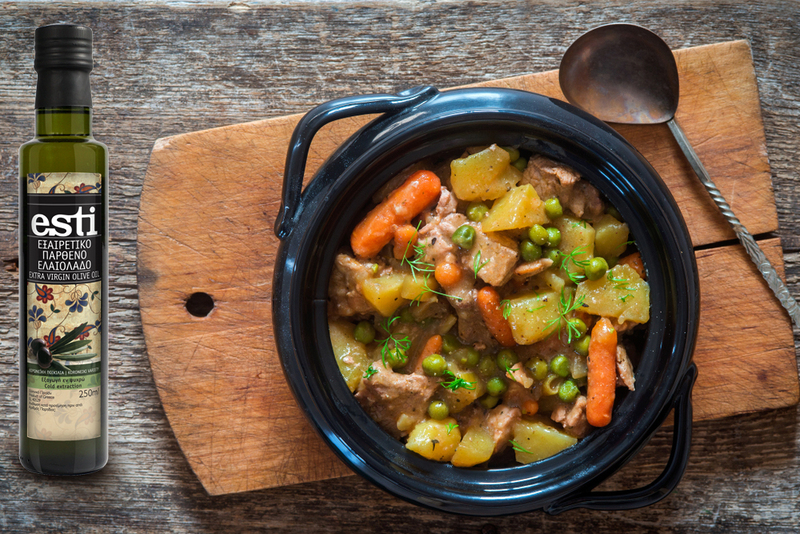 This entry was posted in Around the Greek table, THE ART OF LIVING WELL / and tagged meat, peas, spring, stew on 11 May, 2018 by George Papageorgiou.